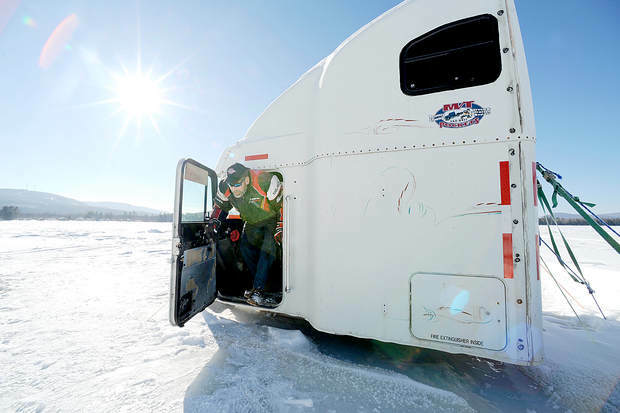 On the ice: Bob Riley of Dixfield, ME climbs out of the ice shack he made from a 1996 Freightliner tractor-trailer cab. The cautious approach, proclaims the Wall Street Journal, has taken hold of executives of some of the largest U.S. companies. Acknowledging a tough business environment based on recent trends, CEO’s are delaying capital investment and, in some cases, even laying off staff. And it is not only happening in the oil and gas sector where an oversupply and low prices have upset the oil boom. Even manufacturing and transportation have been affected. One area we cannot afford to cut is workplace safety. (While the word safety is defined many ways, one definition is a work environment that is free of hazards). Investment in Safety or SH&E (Safety, Health and Environment) is a core business strategy at top companies. Some would argue, sure, that’s because these companies have more resources. But if a company has fewer worker’s comp claims, doesn’t that result in having more resources? Fewer or no lawsuits? Better insurance premiums? ASSE found that in the majority of cases — yes, there is a R.O.I. from safety as a core strategy. A $1 not spent in Prevention will increase to $10 later spent in Correction or $100 in the cost of Failure. 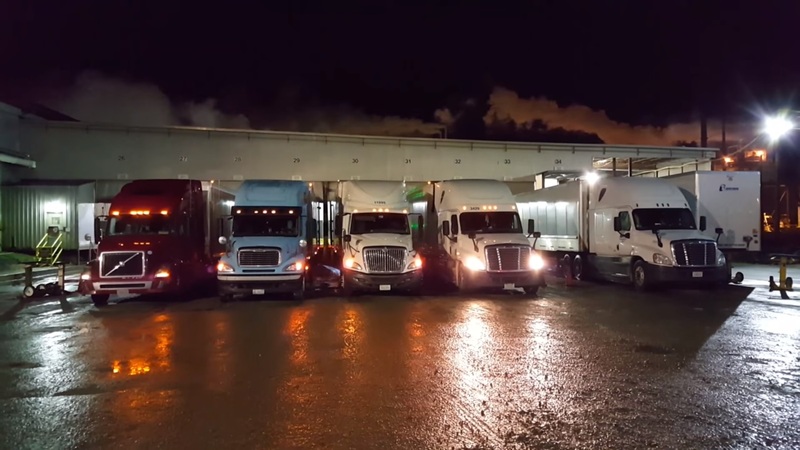 From my interactions working with smaller fleets, I find they generally have a lot of experience, they know their business inside-out, and are doing things the safe way— to a point. The point where unnecessary risk begins is in a lack of formal safety systems. Everyone has safety procedures and processes in place — but they do not write them down. Everyone tells me they have frequent safety meetings: quarterly, monthly, weekly and even daily — but the safety meetings are never documented. Everyone has a policy on use of safety belts, electronic devices, passengers, personal use of the company vehicle, etc., — but the policies are never reduced to writing and/or a written acknowledgement is never made. Ditto for maintenance records, driver files, drug and alcohol testing, handbooks, etc. One statement I frequently hear, and have heard for years is, Well, we’ve never had an accident. If your company lacks formalized safety systems and processes, any claim against it will be harder to defend. By your own actions or inaction, you have given up on your right to the most forceful legal defense. What’s my point? The little things make a big difference. Remember the $1-$10-$100 Rule. A small investment in safety and safety systems can make a big difference later. Do you want to invest $1 now or $100 tomorrow? Somebody is Calling and Wants to Know My Business? Running a business isn’t easy. Fewer people are doing it and the ones who are face new challenges everyday. One challenge is all the weird business calls you get, especially if you own a company with trucks. People want to sell you stuff. People are looking for work. People want to do Loss Control Surveys . . . now that’s really weird (in the sense of unusual). 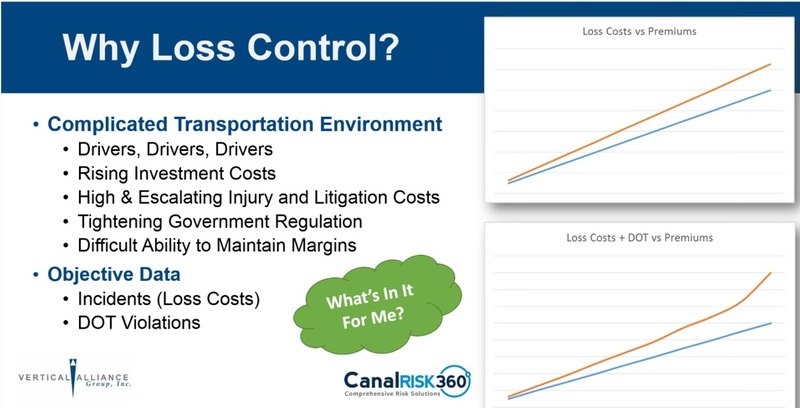 Loss Control is an insurance industry term. Loss Control is sometimes defined as a plan of action to reduce or even eliminate the things in your business that can go wrong (and ultimately result in a “loss” to the business and your risk partner — the insurance company). Generally the Loss Control representative (called many things: Risk Control Representative, Loss Control Engineer, Risk Engineer, Risk Manager, etc.) will contact a business owner whenever an insurance policy starts or renews, or shortly thereafter (“shortly” in insurance time could be up to a year or so later). The Loss Control representative may visit you in person or simply ask you questions on the phone. Let’s look at a few examples . . .
A safety policy may be mandatory (a rule) or voluntary (a guideline). Do you have a seatbelt (safety-belt) policy? Most companies do, however, is the policy in writing, with a signed acknowledgement from the driver? How about a cellphone policy? Passenger policy? Personal use of vehicle policy? A procedure is a series of steps to accomplish a specific task, job, or project. Do you have a driver’s handbook or manual? How will the driver ever know your specific way of doing things? A process is a number of procedures, each working together to achieve a result. 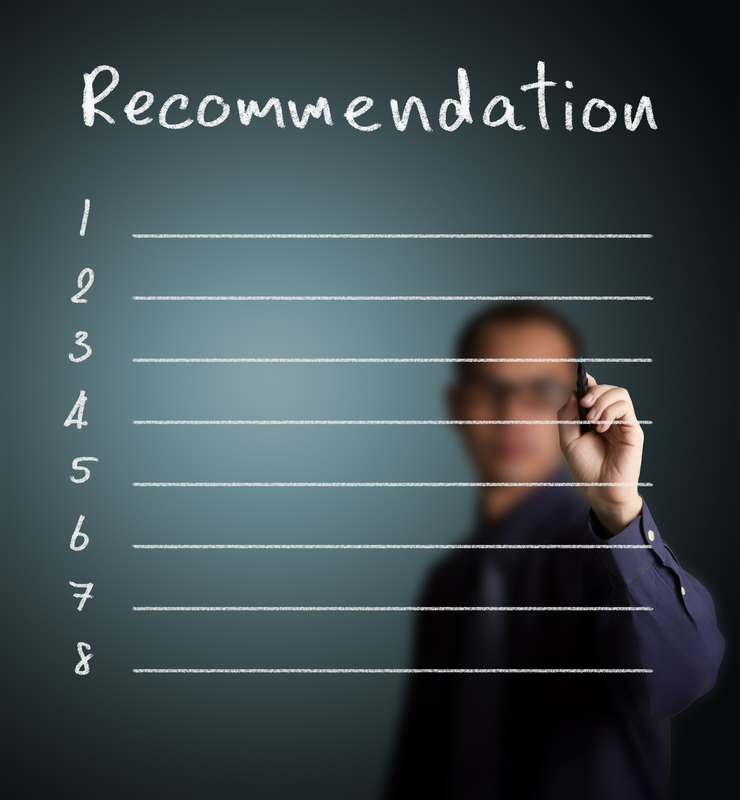 Do you have written hiring guidelines that you follow? Many owners tell me they default to their insurance carrier’s rules. Hiring can be complicated when you add in all of the regulatory requirements you must meet. Safety practices may be thought of as the methods, techniques or precautions we take while performing a task to make sure we or other folks don’t get hurt. 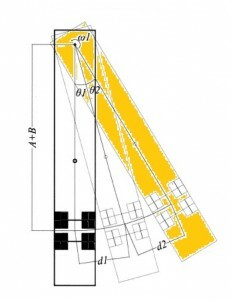 Do you have specific load securement that you need to follow? Does the driver know how to secure a load with the restraining devices given? There are van drivers who have never used a cheetah bar in their lives, and flatbed drivers who have never used a load-lock. 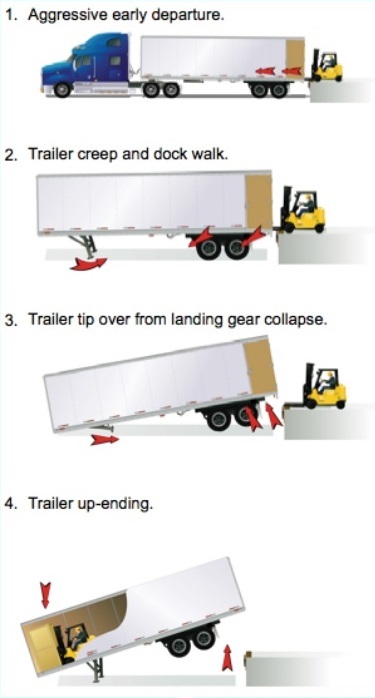 Will your new driver know the basics of proper load securement? Document, document, document. Put things in writing. All policies should be written and critical policies should be acknowledged in writing by the driver. Many times they are not. Have your drivers write stuff down, too. Logbooks or timecards, DVIRs, and everything in between. If it’s not documented, it’s not done. Keep good records. The new ELD rule will require up to eight driver records per 24 hour shift. Fair or not, will you have a process in place to capture the required records? Do you know your specific industry or state’s requirements? 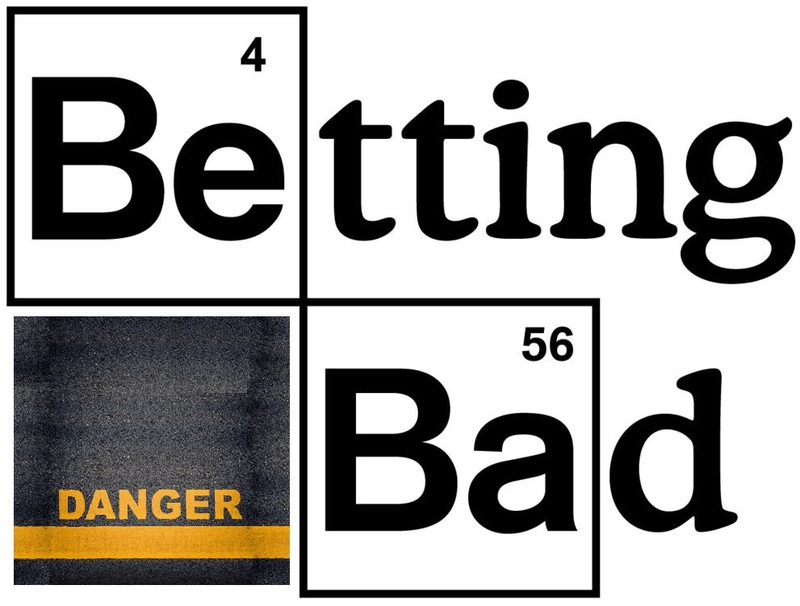 Some sectors are heavily regulated, some are not. Do you take advantage of your insurance companies loss control department? Every company is different, but your loss control representative can provide you with mock DOT audits, training advice and materials, safety consultations and many other services — for free! Always keep in mind, better loss control always results in lower insurance premiums. Better safety will improve productivity and this directly affects the bottom line. 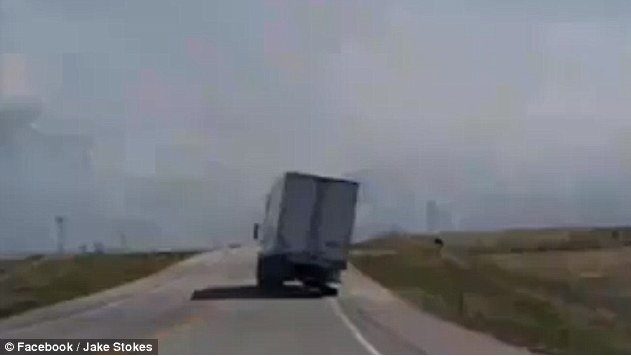 In Germany cargo thieves unloaded iPhones while the truck was under power at about 55 MPH (90 km/H). This happens dozens times a year in Germany according to Trailermatics. The biggest lure, however, like cargo theft in the U.S., is unattended freight. Similar thefts once happened to trucks delivering meat to New York City. Drivers were afraid to stop at red lights for fear that someone would bust the lock on the trailer and start unloading the product. Protecting cargo was the subject of a talk on Wednesday January 27, by Samuel Tucker, CPCU, CRM, CIC. Mr. Tucker is the CEO of Carrier Risk Solutions, Inc., a firm specializing in risk management and insurance solutions. Carriers have a lot on their plates these days driving down regulation alley. Sometimes it’s difficult to imagine that there are people out there who don’t just want a piece of the action, but want a piece of your action. In his webinar, Mr. Tucker stated that larger companies often have trained personnel and risk management plans in place to thwart cargo thieves. Smaller carriers often do not. About 90% of thefts are untended vehicles. So cargo theft, like most crime, is a crime of opportunity. Criminals will wait for the right moment to strike. Sometimes it will be at a rest stop area. Sometimes it will be when the driver is fueling or even eating. The Red Zone refers to about a 250 mile radius from the origin of the trip that the cargo is most likely to become stolen. 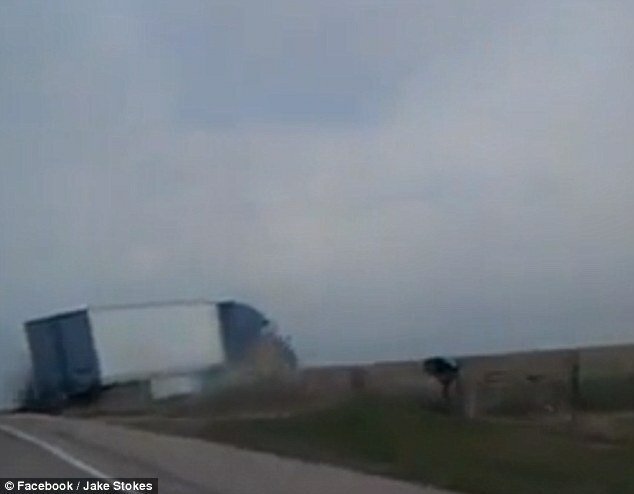 If a high-dollar load is being followed, many times the gang following the truck will break off after 200 to 250 miles. What this means is that high-dollar loads should minimize or eliminate any stops in the Red Zone. Make sure the truck is fueled up, drivers have enough hours of service, and drivers don’t have to make any unnecessary stops in the first 250 miles. Because smaller companies often lack safety resources and cargo theft is becoming more sophisticated with cargo thieves, for example, using GPS jammers and 3D printers to create fake trailer seals, Mr. Tucker has formed a service to fight cargo theft called My Safety Manager. Included in the My Safety Manager service is Cargo Alert! that alerts drivers when to be on the lookout for “hot” loads or missing tractor trailers. “The first 24 hours are most critical to get the word out,” Tucker said. 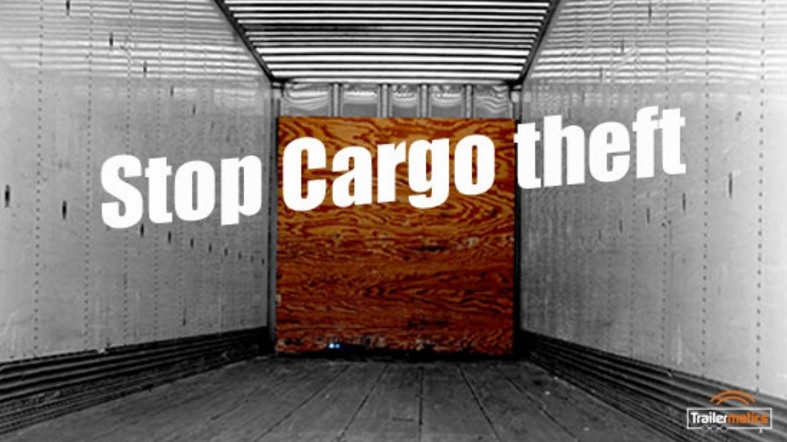 Have a good cargo theft prevention plan for operational and physical exposures. Do full 50 state background checks and pre-hire background screens. Spot-check employees who may have hidden events from their past. Teach employees to be alert and aware. Stay up on what’s happening. Air cuffs locks and other new technology help prevent cargo thefts. Fictitious pickups are a fact of life. 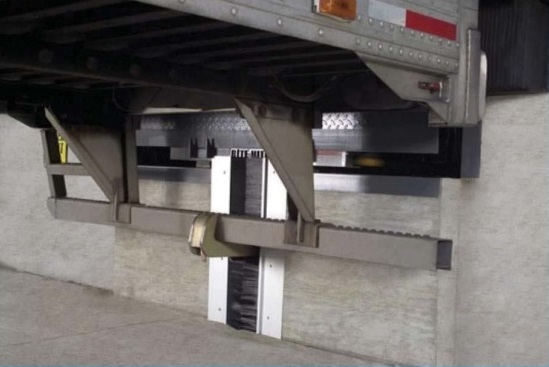 Learn how to properly vet new or unknown drivers picking up trailer-loads at your facilities. Overall I found the seminar to be highly informative. Mr Tucker can be reached directly at (770) 756-7205 if you have any questions on stopping cargo theft. Did you know most cargo insurance polices are not the same? Every cargo policy is different — not uniform. 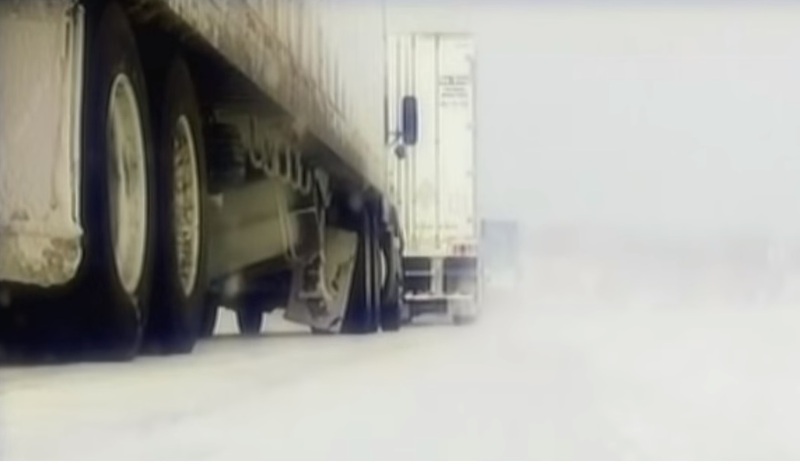 Trucking in winter can be challenging. Moisture can freeze in brake lines and valves. Batteries that were strong in summer become weak in the cold. Fuel can gel. Grease cups can freeze up. Drivers are susceptible to injuries from slips and falls. A year ago Tim Rutledge went to check on his brakes in Indianapolis. 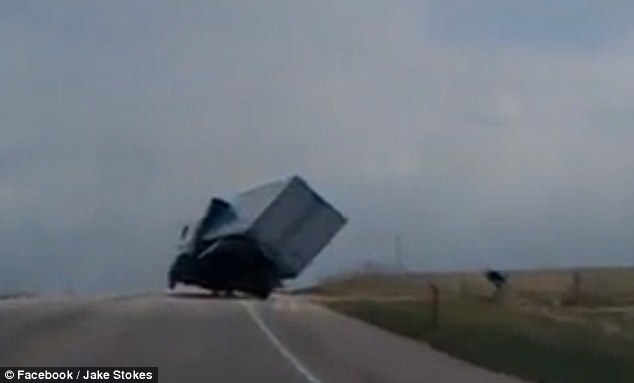 But he didn’t think to chock his wheels before climbing under the truck. Flooding is another problem that occurs almost every winter. Detours due to flooding can run hundreds of miles off-route. But not for our next driver . . . Please don’t try this at home, folks! If this driver had given the matter some thought he might have reflected on the corrosion that will develop in his electrical wiring and lighting systems. We never want to expose the wiring system to any more moisture than necessary. Strong winds and wind gusts can be hazardous. Wind is totally unpredictable. 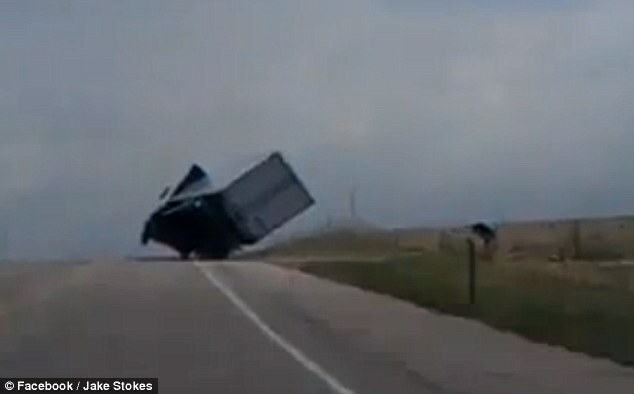 Drivers need to be cautious on windy days not only in driving, but in opening or closing the hood. In opening the hood, a strong wind can cause the hood to strike and injure the driver. Drivers have also become trapped under the hood and injured. Tarping a load can become impossible in a strong wind. Review your winter operations policy for contingencies as frozen brakes and brake lines, gelling fuel, road flooding, and operations in windy conditions or inclement weather. Make sure drivers know your expectations during the challenging winter months. Review all appropriate safety procedures. Remind drivers that slips and fall are always among the top causes of injuries on the job. The risks increase in inclement weather. 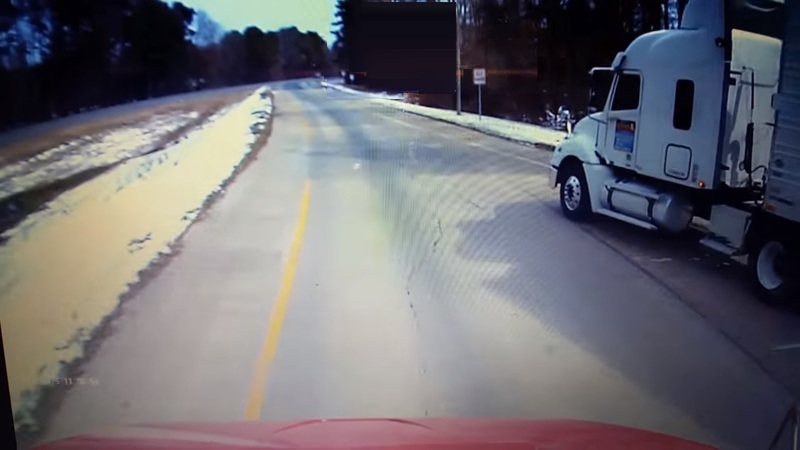 The 62-year-old truck driver drifted off the road into the grassy ditch alongside the highway, rolling his truck and trailer. 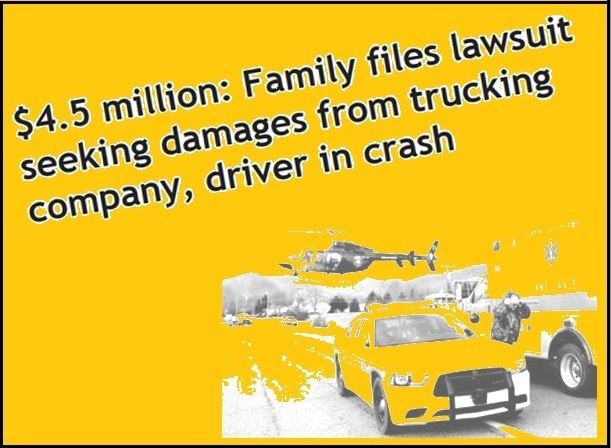 A family of four was stopped for a left turn when their pickup truck was struck in the rear by a bobtail semi truck, killing their two daughters in the back seat and critically injuring the parents. Three adults and four children were in a jeep, stopped in a construction zone, when it was struck from behind at an “Interstate speed,” killing all seven . . . 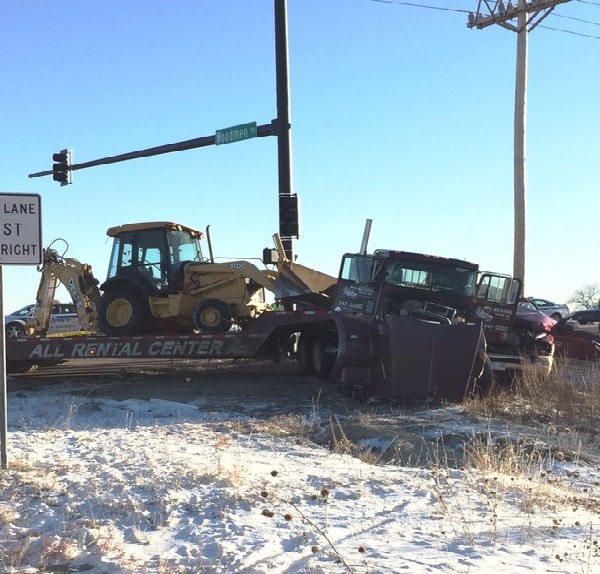 These crashes had one thing in common: police concluded that the drivers were not paying attention to the road. Although the critical reason is an important part of the description of events leading up to the crash, it is not intended to be interpreted as the cause of the crash nor as the assignment of the fault to the driver, vehicle, or environment. 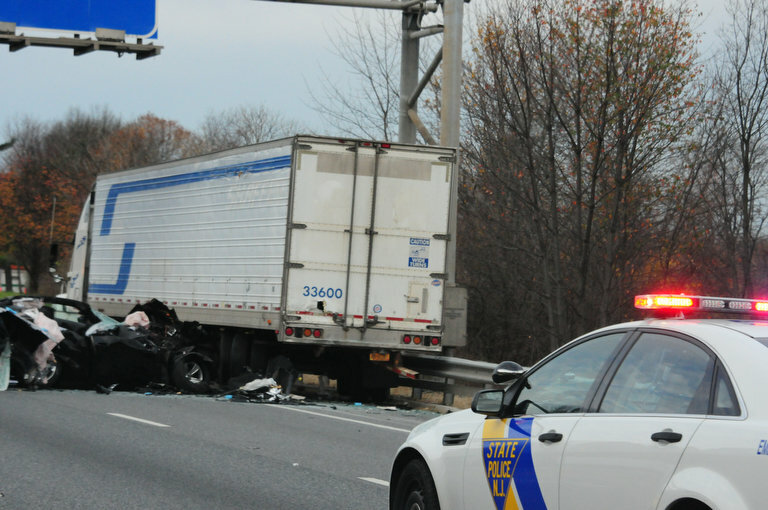 In February 2015, the National Highway Traffic Safety Administration (NHHTSA), National Center for Statistics and Analysis, released a statistical analysis of crash data from the NMVCCS study classifying the critical reasons in truck crashes. The analysis found that driver error occurs in 94 percent (±2.2%) of the crashes. Here’s the Breakdown . . .
Decision error (driving too fast for conditions, driving too fast for the curve, false assumption of others’ actions, illegal maneuver and misjudgment of gap or others’ speed) accounted for about 33 percent (±3.7%) of the assigned critical reason. Performance error (such as overcompensation, poor directional control, etc.) was the critical reason in about 11 percent (±2.7%) of the crashes. Non-performance error (ex. driver fell sleep) was the critical reason accounted for 7 percent (±1.0%) of the crashes. Other driver errors were recorded as critical reasons for about 8 percent (±1.9%) of the drivers. about 22 percent (±15.4%) of such crashes. Steering/suspension/transmission/engine-related problems were assigned as critical reasons in 3 percent (±3.3%) of such crashes. 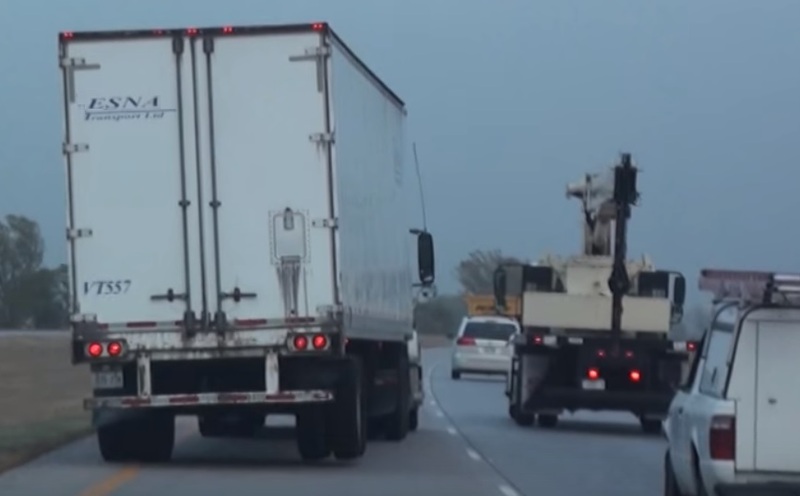 Critical reasons attributed to the driving environment (road and/or weather conditions) were assigned to about 2 percent of truck crashes. In about 50 percent (±14.5%) of the 52,000 crashes the critical reason was attributed to slick roads. View obstruction was assigned in 11 percent (±7.2%) of the crashes. Signs and signals accounted for 3 percent (±2.5%) of such crashes. 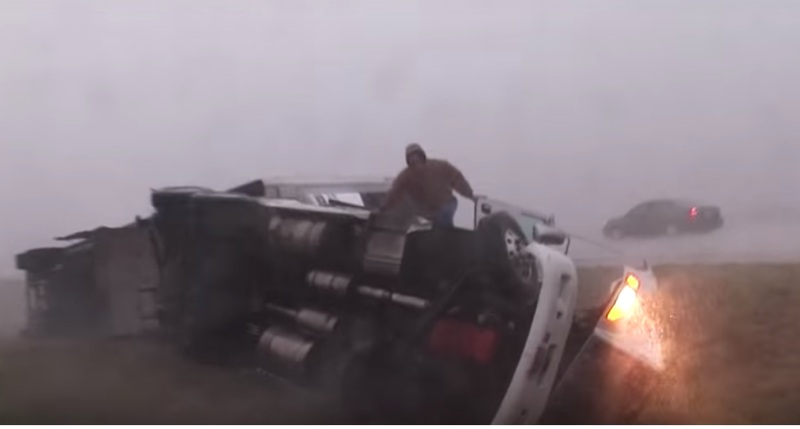 The weather conditions (fog/rain/snow) were cited in 4 percent (±2.9%) of the crashes. Please help spread the word about these critical crash reasons to your safety personnel, driver managers, fleet supervisors, and drivers. Drivers can do two things, and only two things while driving, to avoid a collision: manage their speed and manage their space. 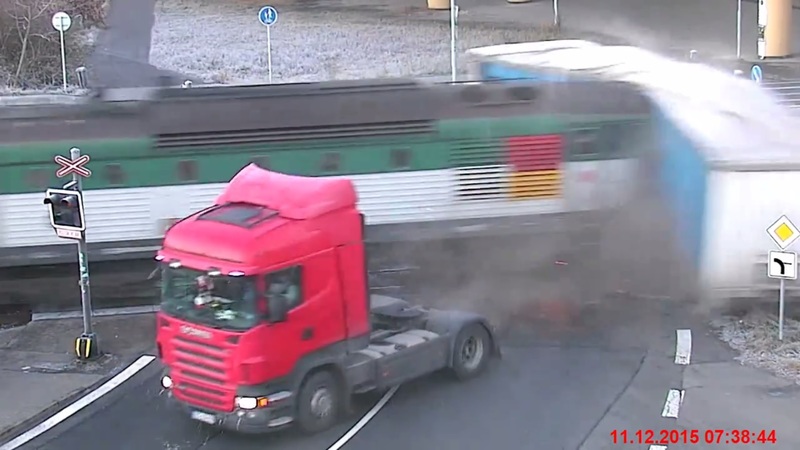 As many truck-car collisions are due to errors on part of the car driver, the commercial motor vehicle (CMV) driver needs to drive defensively. 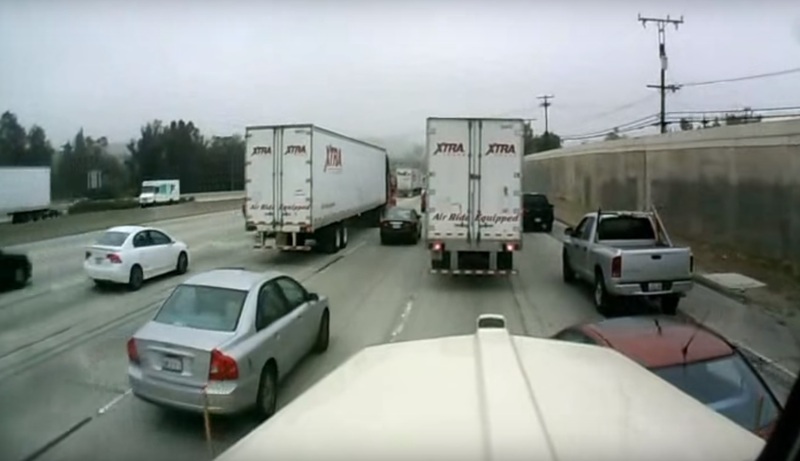 And as all collisions are considered to have an element of “randomness” associated with them, CMV drivers need to be on high alert at all times. A Woeful Tale . . . The home, friends said, looked like a castle. It burned for four days. The six members of the family inside, including four grandchildren, were not able to escape the fire in January of this year. Most likely an electrical spark set a Christmas tree on fire. The tree had been cut at least two months prior. As we move into and through the holiday season, a house fire is the last thing on our minds. While only several hundred home fires involving Christmas trees occur each year, the National Fire Protection Association (NFPA) says fires involving Christmas trees can be very deadly and cost millions of dollars each year. If a Christmas tree is not watered daily or is allowed to dry out, it can literally explode in flames if exposed to a spark or heat source. Electrical distribution or lighting equipment was involved in 38% of home Christmas tree fires. · Eighteen percent of home Christmas tree fires involved decorative lights. · Wiring or related equipment was involved in 12%. · Cords or plugs were involved in 5%. Twenty-two percent of Christmas tree fires were intentional. · Only 9% of the intentional fires occurred in December. Nine percent of Christmas tree fires were started by someone, usually a child, playing with fire. Seven percent were chimney fires. Keep fresh cut trees well watered (not necessary for artificial trees). Check your Christmas electrical cords and lighting. Look for frays and cuts in the insulation and exposed wires. Replace bad wiring and bad extension cords. Do not overload extension cords. If the cord becomes warm when in use, it is overloaded. Don’t run the extension cords under rugs (especially a Christmas tree skirt) or furniture as they might become a fire hazard. Secure cords so they don’t become trip hazards. Only use lights with the Underwriters Laboratories Approved or UL Approved designations. These lights go through thorough testing procedures to ensure they are safe to use in or outside your home. In that vein, only use outdoor lights out of doors as they need to meet higher levels of certification. Don’t place a tree near a working fire place or fire pit or other heat source as a space heater. Don’t leave a lot of wrapping paper or empty packages near the tree when the presents are unwrapped. This contributed to 30 fires (and 2 deaths) last year. When disposing of the Christmas tree, never attempt to burn it in the fire place. 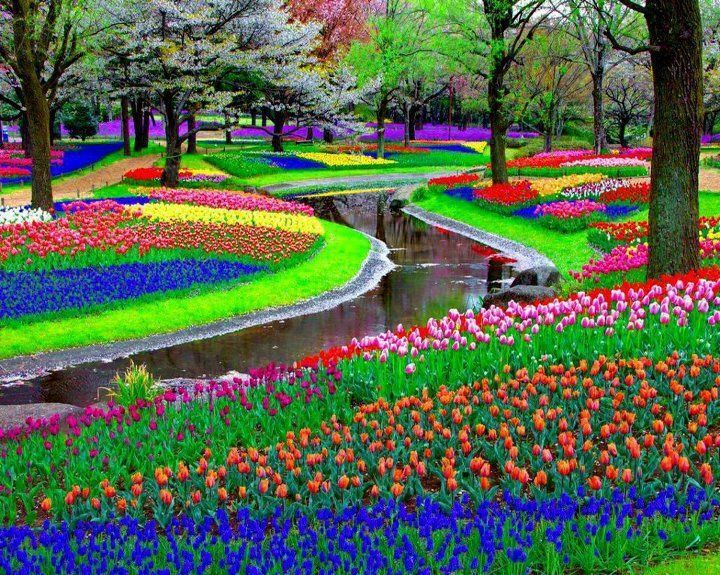 Consider installing a sprinkler system in your home. Another safety tip is to never attempt to fight a Christmas tree fire. This is considered a major mistake by firefighting experts. Safety of friends and family should be our number one concern. Get everyone out and then call 911. With that, here’s hoping you have a happy and healthy holiday season.